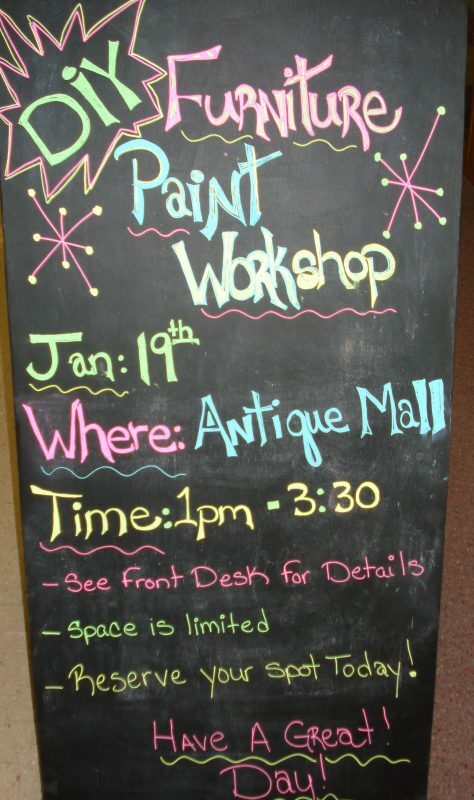 DIY Craft Classes at the Antique Gallery courtesy of FUNK IT. During this class you will learn a single color distress technique with DIY clay based paint. You will be getting hands on training on your very own piece of furniture. The size of your project can not be any larger than a night stand or side table in may be a dining chair. You will need to purchase your paint ahead of time and it is available in space C-9. If you have any questions about color no problem, you can contact me on Facebook. I will be happy to help. We will be providing the top coat, brushes, rags, etc. Please do not wear nice clothes. Make sure to clean your piece well before coming to class. You can find small pieces of furniture within the antique mall if you do not already have one. Anyone of their friendly staff members can help you find the perfect piece! Remember all purchases including workshops are final no refunds. If you have signed up and cannot make it, no worries. We understand life happens. You can take the next one available. 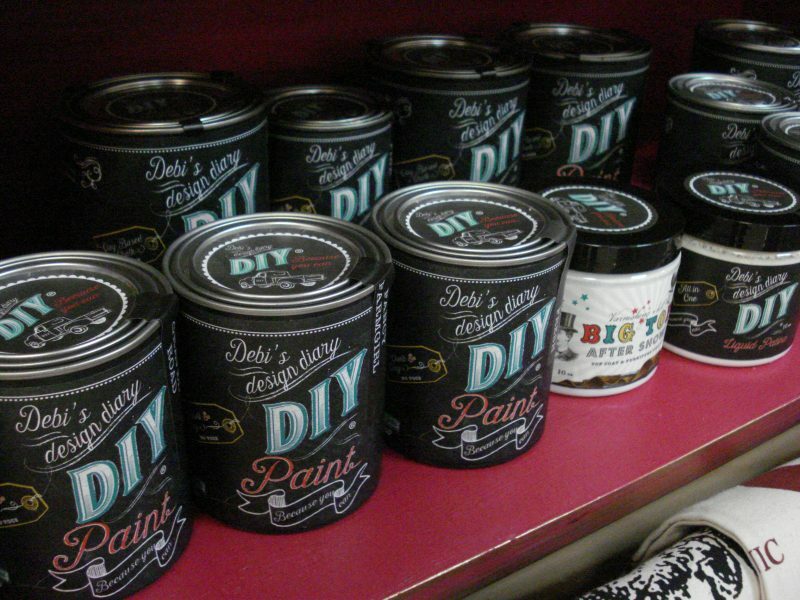 Saturday, Feb. 23rd: Furniture Painting workshop. Bring your own small piece of furniture. Remember: Spots are limited. Reserve yours today!